I am experiencing a very tough issue with my AI and default ATC. 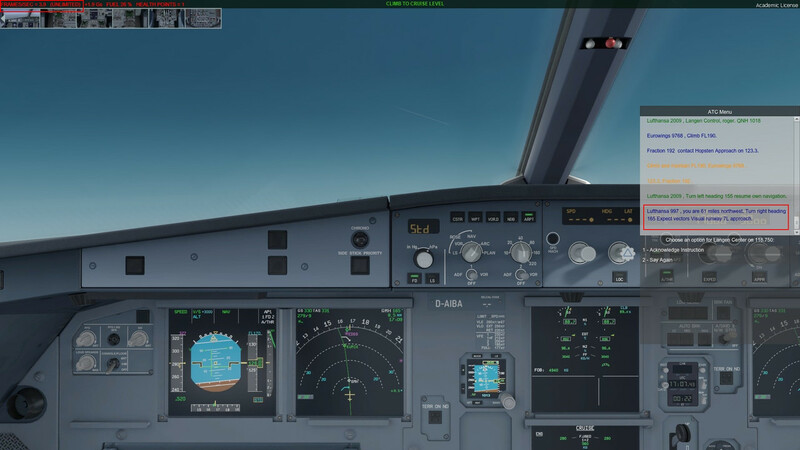 I am doing a flight from EDLW to EDDF with 100% AI. Everything is OK, FPS stable between 30-40 FPS. Using default ATC for guidance and flight planning. When approaching Frankfurt and ATC instructs me for the approach the sim is heavily stuttering (3-4 FPS) for an amount of time. The Aerosoft Airbus requires 18FPS for the FBW system so the plane is going crazy and unflyable. From the FSUIPC log (free version) I see the sim reads approx. 200 aircraft at the time. None of them lead to the desired result. My question; what is technically happening at the point where the stutters occur? Is it indeed the amount of AI that is being loaded? And most of all what are my options except disabling AI or hit the pause button. And before concluding to lower the AI setting, in the past (FSX and lower P3D versions) this was working fine. Also a hickup when ATC instructs me but only for a second or so. For one, 100% AI??? Thats a bit much... most use 50% or less. The amount of work for 100% AI will of course bottleneck your system. I have done some more tests, and even when I only load the Lufthansa flightplan, I get big stutters when approx. 80km out of EDDF due to the loading of the bubble. Is there anything that can be done about it? Hope for a response of the LM devs here.